Tune in to the Global DJ Broadcast World Tour, this month featuring a 2 hour set by resident mixologist Markus Schulz, recorded live from Les Bains Douches in Paris, France. The sixth destination on the Global DJ Broadcast World Tour takes Markus Schulz from London across the English Channel to a city most people regard as “the capital of the world” - Paris. Despite such a healthy trance scene throughout most countries in Europe, France has for years been considered as home for the finest exports in electric and progressive house, with names such as Daft Punk, David Guetta, Bob Sinclar and Laurent Garnier highly regarded. The epicentre of dance music in the nation’s capital lies with one club, Les Baines Douches. 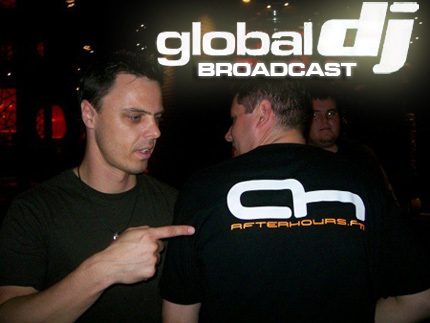 Steeped in rich history for many years, it was inevitable that Markus chose this gig for the GDJB World Tour treatment, as it presented a new challenge to himself, playing in a city and country for the first time, and also one where trance may not be the preferred choice of the paying clubber. Last edited by JayCan; Apr 3rd, 2008 at 20:02.
anyways ppl, be prepared for an awesome show !!! !